The concept of compiling a list of 500 such-and-such is nothing new. Forbes, INC, Software Magazine and others have done it repeatedly. But building one that focuses on the world’s 500 largest Cloud applications vendors requires special handling. As Cloud-based applications are becoming part of daily routine, it’s an opportune time to do a comprehensive job compiling the Cloud Top 500. We also believe that a lot of people would want to reference it, consume it and perhaps be willing to pay to access full profiles of these 500 vendors in order to better understand the market dynamics. That’s the idea and we hope that you will like the results as well. In 2012 we started gathering data for the launch of Apps Run The Cloud, our next Super Site that would include a full listing of the world’s 500 largest Cloud applications vendors based on their annual Cloud subscription revenues. By the end of 2013 we had compiled data on more than 2,000 vendors and we finalized the list in early 2014. Since that time, we have been updating the Cloud Top 500 market report every year. Here are some of the most frequently asked questions about why and how we conduct the research. Do you actually have data on 500 vendors? No, we actually have data on more than 500 enterprise applications vendors(see taxonomy here). A number of them on the bottom of the list reached the same amount of Cloud subscription revenues in 2014. So we included all of them. The final count is 509. Why don’t you call it Cloud Top 509? Cloud Top 500 sounds better than Cloud Top 509, don’t you think? As the Cloud applications market continues to grow, we think the gap between the top 100 vendors and the 400-500 vendors that follow is likely to shrink. By that time, we may expand it to Cloud Top 1000 or Cloud Top 5000. Our philosophy has always been inclusive, as opposed to exclusive. Coincidentally, we have extended Cloud Top 500 to Apps Top 500 by including both onpremise and Cloud revenues of the world’s largest enterprise applications vendors as of June 2016. Do vendors have to pay in order to be included? This is the most common question that we have received because of the tendency of some research firms soliciting fees from vendors for their awards and/or similar market-research projects. We do not accept fees from any of the 500 vendors, or any vendor for that matter that wants to be included in our market-sizing reports. If you want to participate in those pay-for-play research projects, we are not for you. Our clients, along with subscribers, pay us in order to access our premium research data, including the full profiles of the Cloud Top 500 vendors as well as valuable resources like a rich database of Cloud customers and their applications environment. We also participate in client-sponsored research projects, but these custom solutions are independent from our published research agenda. Put it simply, we exercise a firm and consistent policy with regards to our market-sizing reports, never ceding the control of the research process and methodology to anyone outside Apps Run The World. What is your quotation/citation policy? Anyone that wants to quote, attribute or refer our data and content must obtain our written permission first. If you want to quote our numbers in a press release or blog post, please send us a draft copy for approval. Our legal team will persecute to the full extent of the law anyone anywhere around the world for reproducing our copyrighted content without prior authorization. Do you accept advertisements or sponsorships on your Super Sites? We may accept advertisements and/or sponsorships in the future because our traffic from a highly sought-after audience is increasing every day. Today our revenues are primarily coming from paid clients and subscribers. How do you select the Cloud Top 500 vendors? By applying the above methodology consistently, we have been able to gather detailed revenue data on each of these top 500 vendors. What do you do with privately-held vendors that do not disclose their revenues? For privately-held vendors, our approach is consistent. We compare their Cloud performance with that of their peers and calculate their revenues based on their history of selling, pricing and most importantly their transition to the Cloud from on-premise selling, which typically comes with a great deal of information for us to extrapolate and model. After we compile their revenue data and complete our analysis, we send profiles to vendors for their feedback. Revenue data and profiles in the Cloud Top 500 report have all been validated with the vendors before we publish the results. How often will you be updating the Cloud Top 500 list? Every day we add new materials including updates on vendor profiles and customer records in the Customer Database section. In terms of their ranking, it will be updated annually. We also provide our clients with performance analysis on some of these Cloud Top 500 vendors on a quarterly basis. How can a new company be included in next year’s Cloud Top 500 report? You can provide a brief description of your company and Cloud applications offerings by emailing us at [email protected] and we will get back to you. What’s the roadmap for these Super Sites? How many more will you be rolling out? It’s based on market demand. We have already launched Apps Run ERP, Apps Run Treasury and Apps Run The Cloud and do expect us to get into new areas such as mobile apps, payments, as well as core functional markets and verticals like CRM, healthcare and even country versions like Apps Run The BRICS(Brazil, Russia, India, China and South Africa). May 2010 – Company is founded with a simple idea to harness the most talented people to conduct comprehensive and quantitative research on the enterprise applications market by combining revenue, product and customer data from both supply-side and demand-side sources. September 2010 – First set of market-sizing reports on different verticals from banking to utility analyzing top 10 vendors in each market are made available freely on Apps Run The World. April 2014 – First batch of Cloud Top 500 profiles completed and sent to vendors for their feedback. Thousands of Cloud and on-premise applications customer records and profiles are being added to the Customer Database in order to validate Cloud adoption trends across different regions and verticals. May 2014 – 2014-2018 Enterprise Applications market forecast is finalized by region, country, revenue type, functional market and other segments after receiving input from inhouse analysts, vendors, customers and partners, while research report framework is built to focus on total investment funding for Cloud vendors and 2013-2014 mergers and acquisitions that could result in backstreaming of Cloud revenues. Vendor database that covers 2013 revenues is finalized. June 2014 – Preview of Cloud applications market forecast, vendor and customer data is shared during private sessions with clients. July 2014 – Remaining profiles with feedback from vendors are being entered into our database. All research documents for Cloud Top 500 are being completed and formatted for Excel and PDF downloads. 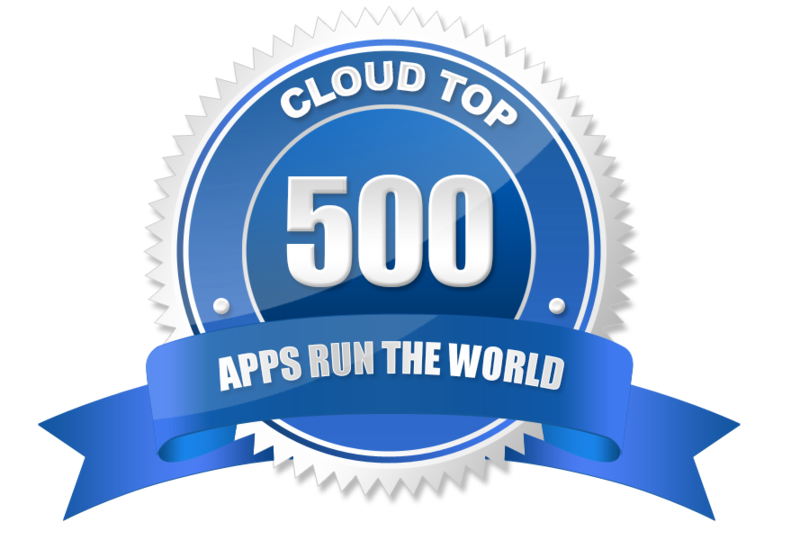 August 2014 – Launch of Apps Run The Cloud Super Site with profiles of Cloud Top 500 applications vendors. August 2015 – New and Improved Apps Run The World Super Site goes live with updated profiles of Cloud Top 500 applications vendors. June 2016 – Apps Top 500 and Cloud Top 500 Market Reports go live along with 37 Top 10 Reports on scores of functional markets from Analytics to Treasury & Risk Management and vertical industries from aerospace and defense to utility. Win/loss analysis of customer purchases across all these markets is being updated every quarter to Enterprise Applications Buyer Insight Database now covering more than 100,000 end-user organizations around the world. 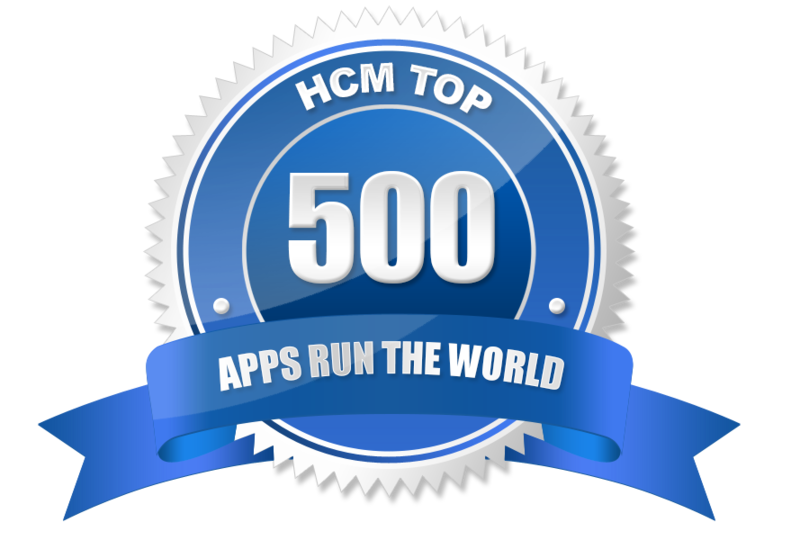 December 2016 – We end 2016 with a bang as we salute HCM Top 500 Vendors by releasing a 3,000-page+ market report that segments the highly competitive space into 21 verticals and 22 functional areas, all revolving around three major product groups – Core HR, Talent Acquisition and Workforce Management.and Improved Apps Run The World Super Site goes live with updated profiles of Cloud Top 500 applications vendors. Using a tree metaphor, our research areas start with the aggregation of root records in our proprietary database, which keeps detailed information on more than 3,000 applications vendors. Each root record forms the basis of a vendor profile, which contains such crucial data as the number of their customers, their key products and shares in any one of the markets that we cover, the structure of their ecosystem as well as an assessment of their strategies using our SCORES methodology. Each profile of a leading apps vendor gets incorporated into a research report that details the major trends and key events that lead to the overall development of an application market. Forecast is based on actual and projected demand for applications, supplemented by end user surveys as well as data from a cross section of customers following their announced and repeated purchases as well as the prevailing economic and market conditions. Transparency is the guiding principle in every research report, or any deliverable for that matter, from APPS RUN THE WORLD. We conduct the SCORES analysis by using six criteria to compare vendor performance against that of its peer group. Vendors’ SCORES are rated above average, average or below average to reflect their current and future performance, taking everything within the peer group into consideration. Ratings that we use to determine APPS RUN THE WORLD SCORES predictive analysis are calculated after examining the strengths of a vendor and its product portfolio, as well as those of its competitors. For example, if a vendor is constantly adding enhancements to its product portfolio at a rate much faster than that of its competitors and the vendor is producing desired results for customers, it’s likely that it would receive an above average rating on its product strength. Other metrics include quantifiable reference wins in a given quarter or a given year, projected market demand based on current revenue run rates, known and expected risks and a vendor’s ability to tackle them, partner contributions, and actual revenue and projections with guidance from vendors.